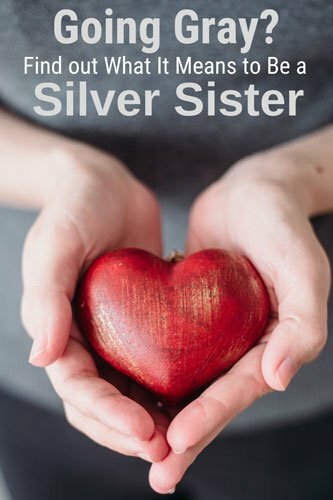 A silver sister is so much more than just a woman with gray hair. She’s part of an international sisterhood of women who are bucking societal pressures and doing her own thing. Remember the miller’s daughter in Rumpelstiltskin who spun straw into gold? All these years, Mother Nature has been spinning my hair into beautiful silver strands, and I had no idea because I was covering it up with dye. What a revelation! For the first time in my life, I’ve got sparkly hair! I’ve got freaking Christmas tinsel growing out of my head. What the what? No more need for special treatments to make my hair shiny and glossy – it’s growing out of the top of my head that way! To think that I spent all those years avoiding the “dreaded” skunk line, only to find out that it didn’t bother me once it started growing out for real. I went from being Veronica to Alexandra and I love it! I haven’t felt this energized about my own looks since I was a much younger woman. It’s fun and completely NOT what I expected, and DEFINITELY not what society led me to expect about going gray. Years of TV commercials and print ads made me think that going gray meant breaking out the Geritol and the Polident and settling into my flannel nightgown for the rest of my (short) life. In case you haven’t figured it out yet 😜 – I LIKE my gray hair. I like it more than I expected to like it. I’m obsessed with it. I like my long, calico, two-toned hair. It’s FUN for me to see the dye fading and the gray coming in. It’s like being a science experiment AND being the scientist at the same time! I’m in no rush to cut off the dye – I want to keep this experiment going. Knowing how people are, when I decided to go gray, I prepared myself for some rude or intrusive remarks from people who wouldn’t understand this journey. I’ve had to endure a couple of those, but not too many. I caught a couple ladies snickering at my skunk line in public, but I’m self-confident enough in my journey that I brushed it off. Who cares what these people think? They haven’t yet discovered how great gray can be! I don’t know if I could have been this strong without the community of silver sisters that I’ve met through Facebook and Instagram. They taught me ways to transition, how to deal with rude people, and how to see the beauty in gray hair. These are the ladies that you can count on to have your back and give you support. If it weren’t for them, this journey would be SO much harder. So, I was shocked yesterday when a friend reached out to me to let me know that a fellow silver sister on Instagram was using one of my photos (without permission) to make an insulting point about two-toned transitioning hair. This person used my and other two-tone transitioning ladies’ stolen photos to make a collage with the words “Don’t Wait So Long to Cut Your Hair” emblazoned upon it. This “lady” was using MY photo to publicly insult MY choice to transition MY hair the way that works best for ME. All the lovely support I’ve gotten for the last 9 months flew out the window; all I could focus on was this public insult. I have never been this angry in my life. My hands were shaking with rage. I felt humiliated and betrayed by a woman who made it quite clear that she finds my type of gray hair transition ugly and to be avoided. Counting to 10 before I responded would have been a good idea, but I didn’t do that. Instead, with shaking hands, I unleashed my fury on this lady. I told her she had violated my copyright (true! ), and that she had used my image to propagate a message that I personally find offensive (namely, that there’s only one right way to transition your hair). I’m generally a mild person, but I let this woman have it! I was out and about when this happened, and I couldn’t easily report the copyright violation to Instagram on my iPhone, so I got in my car and started speeding home to get to my desktop. Luckily for me, I couldn’t speed. Traffic was jammed. My usual 20-minute drive home took about 45 minutes. I wanted to listen to LOUD MUSIC to fit my mood, but the only CD in my car was the Topsy-Turvy soundtrack. I BLASTED that all the way home until the absurdity of angrily listening to Gilbert & Sullivan hit me and I was able to calm down and think a bit. OK, the copyright violation part was bad – I’m a photographer, and nothing makes me angrier than stolen images. But that wasn’t what was really bothering me. What really got me upset, besides the public humiliation of having my photo used as an example of what NOT to do, was the judgment. Judgment has no place in the gray hair acceptance movement. This feeling of bucking social norms and accepting myself has had me walking on air for the past 8.5 months. Well, to heck with that! We silver sisters have a unique bond – no matter what age, what race, what nationality, we have one thing in common: We’re growing out our gray hair and letting society know that we will not be pressured to adhere to its standards. So, can we all agree to this Silver Sister Manifesto? I don’t care how you transition: whether you cut your hair short, or wear it long… Whether you get it blended or highlighted or opt for the cold-turkey route. Heck, I wouldn’t judge you if decided to go back to dyeing! Going gray is a great way to rediscover the real you – and if the real you prefers to dye your hair, that’s your choice and I support you. What does being a silver sister mean to you? Please let me know in the comments. I decided to let go of the brunette before I found Silver Revolution on Facebook. Now I am obsessed with checking each day to see what the Silver Sisters are up to with their hair! It’s fascinating!!! I thought I would colour till I died, then BAM!, I’d had enough and took a leap of faith. I had no idea what I’d look like, but I was willing to take the chance. My (retired) HD told me about 5 years ago that she didn’t want me to go grey because I was too young (I was 63!!!) and my husband wasn’t keen either. My new HD gave me great confidence, once I told her what I wanted to do, and assured me that the 2 of us could work together to achieve a great result fairly quickly (I have short hair). It took just 7 months and I nearly cried with happiness when I saw the final result!! I feel like I am an ambassador(ess?) for grey/platinum/silver haired women!! I absolutely love your blog—it inspires me and makes me laugh!!! It’s also very practical. And I agree…it’s kind of a funky and unusual look that does make you look gorgeous and confident! I’m just 3 months in and definitely skunk striped. I am eager for the next phase!! But I keep expecting to hit a VERY AWKWARD and embarrassing STAGE that will last at least 18 months, but that’s not how I feel. So far I’m mostly curious and excited, and my kids are into it too and hilarious about it on the drive to school. “MOM, you would not BELIEVE HOW MUCH WHITE HAIR IS ON THE BACK!! !” : ) Got the clarifying shampoo and the scent brings me back to the 80s! I also really like the look of your braids and may try that…all the strength to the lovely ladies leaving comments on here. I’m grateful! Thanks, Leah! I hope you have a great transition! Glad your kids are into it – it’s FUN!! I am so sorry to read about what happened to you on Instagram. Yesterday I deleted my account because I hardly use it! We are all unique in the way our hair transitions, and in the way we deal with our journeys. Like you, I am going cold turkey. I haven’t cut or trimmed my hair for nearly 24 weeks. This is how I want to go about it. I don’t want to do a big chop. I want to see how my dyed hair fades and watch my silvers change day by day, week by week. Thanks, Caron – I agree! It’s fun to watch the transformation. I actually was hoping to keep my hair longer so I could drag it out, but my stylist over-enthusiastically cut off more of my dye than I expected. C’est la vie! Yes, that public shaming is everything that the grombré movement isn’t. 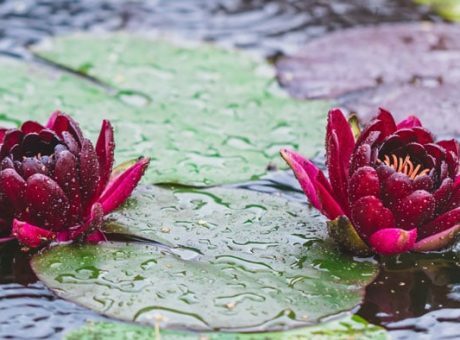 It’s such a huge decision to make – to go beyond that ‘need my roots doing stage’. I initially coloured my hair because I preferred it coppery. I decided last summer I wanted to go back to whatever my natural colour was and it is the best decision I’ve made. I’m fortunate in that once the copper faded it wasn’t too marked a line but I admire everyone who’s gone through this process – however obvious or subtle the changes are. Good on ya, Katie. I love watching your progress! I adore you! You have helped so many of us “silver sisters”, probably more than you know. Thank you for sharing your journey. Continue to be an inspiration because a lot of us need “sisters” like you. 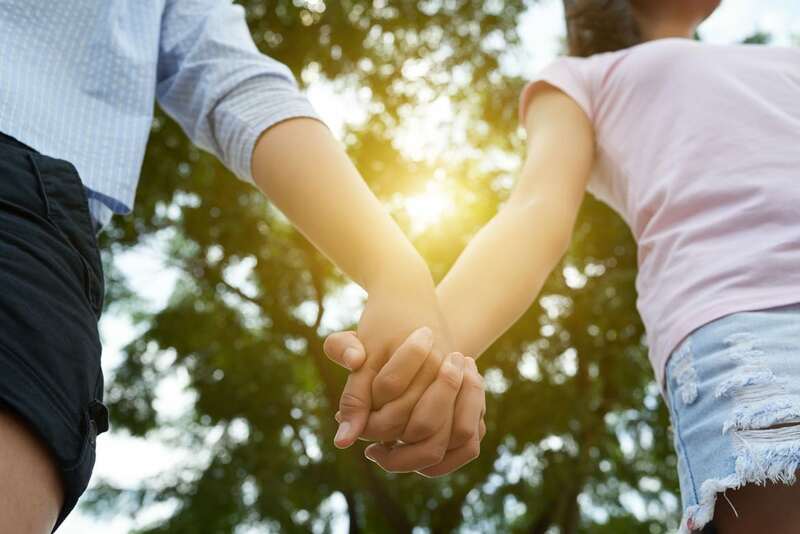 At first my journey was just about me I thought selfishly but really it’s about any woman wanting to connect with her true self, so now I look at my journey as hopefully a positive influence for someone else, just as you have been for me. Much love and respect!! Thank you, Eva – that’s so kind! We’re all in this together, for sure! I am sooo sorry about what happened! And to know that it was from another silver sister(smh). Makes me curious who it was. Your transition reminds me of my own and I’m glad you are having fun with your journey so far! Your blog was full of passion, frustration, and hurt, all understandable. No one is allowed to judge us on how we want to transition our hair; our hair, our story, period😊. Love the blog!!! Love this x a million! Katie, your words came right out of your heart and are still energetic and full of power, triggered by that post. Fully agree and always love how easily you put into words what a lot of us are thinking, feeling, experiencing, living, going thru, doubting and ofcourse what we love about our transition, however we choose it to be. And yes, it is wonderful to have found that open community. Supporting, caring, looking after each other. Honestly, I never thought that this could happen on social media, I was wrong. ThX for all your effort and keep going gurl. Excellent, excellent article Katie. Well said, and I can definitely agree to that manifesto. ❤️ There’s more good than bad, and I believe most of us feel this way. Thanks, Nichole – I agree, definitely more good than bad! 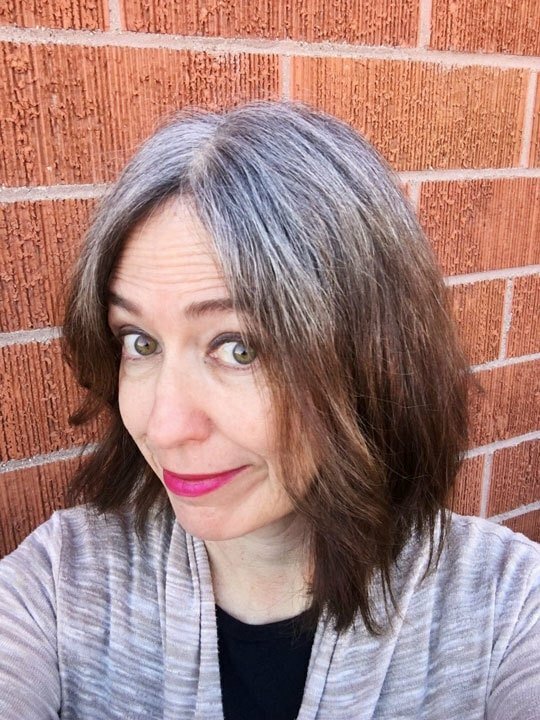 After dying my hair and applying red henna for 30 years, I decided to go gray. That was over 10 years ago and my hairdresser at the time suggested bleaching my hair which took several hours and turned my hair lemon yellow (not in a “fun” way) . There was no “community” back then, I didn’t have “role models” or gray sisters. I will never dye my hair again and I’m growing it long for the first time in my life. Being 66 carries with it it’s own invisibility (I have trouble finding photographers who want to shoot me when I had them lining up for years). I am a writer (so I can be invisible) and I’ve been taking “selfies” since my Polaroid days, so I’m gonna be alright. There is power in gray hair (I spell it both ways)—let it go/grow and take back that power! Sorry that happened to you with the bleach! The one time I tried bleach (luckily, just on a small section of my hair, the lightest it would go was carrot orange. Really damaged it, too. I agree there is power in gray hair – I’m also going to grow my hair long and flaunt it. More power to all of us! You are definitely a great support and inspiration, Heidi! You are right. This is a hard transition to make. I agree there is not a right way to get there. We all have to make the journey in our own. We should be supporting one another not judging. So happy I have made it. Good luck to all of you.